A charity which offers a stimulating work environment for local people with learning disabilities is holding its Christmas event on Sunday, 2 December. It's a chance to support a cause that offers a work experience opportunity to people from the local community, a number of whom require additional help which is provided by the charity’s leisure, education and occupational services. 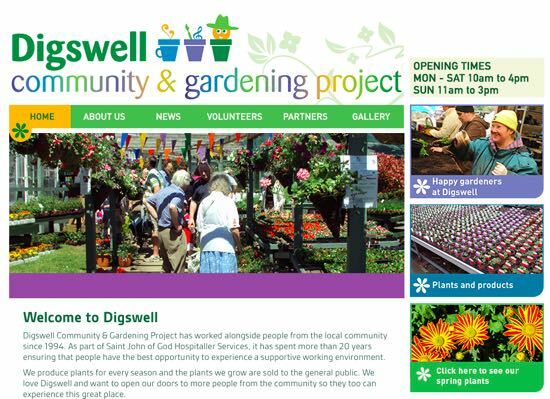 The Digswell Community & Gardening Project - also known as the Happy Gardener nursery - has been working alongside people from the local community for 24 years. North Mymms residents have benefited from its work. The Christmas Fayre is the one of the opportunities for students at the garden centre to showcase their skills and also raise money for the continuing work of the charity. It's also a chance to pick up some Christmas gifts, choose a Christmas tree, some house plants, or shrubs. The three-hour event starts at 2pm, and includes the lighting of the Christmas tree, a festive singalong, craft activities for children, and a licensed bar for the adults which will be serving mulled wine and other drinks. There'll be mince pies and hot soup at the coffee shop. Entry and parking are both free. If you want to pop the postcode in your satnav it's AL8 7SR or if you prefer a grid reference it's TL 22366 13072.